Everglades kayaking and slogging adventure at it's best! 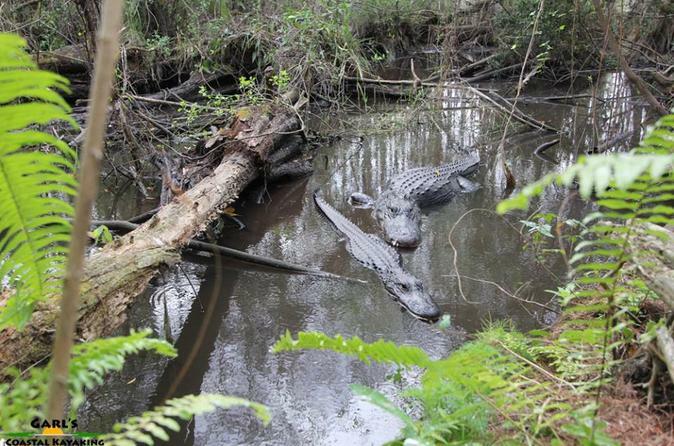 Enjoy the best eco-tour in the Everglades and experience nature in the best way possible. Take a break from the Keys, enjoy a few hours of nature while freshwater fishing. 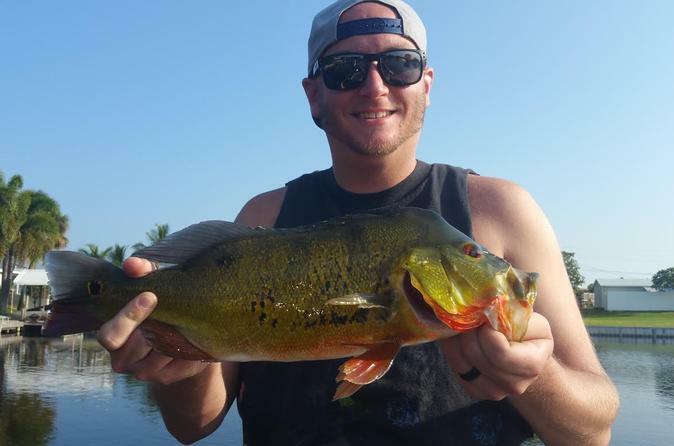 Peacock bass fishing offers some of most unique fishing in the world. Reel in the colorful hard-fighting peacock bass in the Aerojet Canal. Tour is guided by a licensed captain in a modern 21-foot boat, they provide the fishing rods and both right and left-handed reels. All the tackle you can use or lose and all other necessities including safety equipment is also included. Your captain provides fishing instructions and casting lessons for beginners and advanced techniques for the experts. So grab your hat, sunglasses and camera. All you have to do is step on board, cast a pole and wait for the tug on the other end. This tour will take you on an urban fishing adventure that will leave lasting memories for a lifetime. Are you ready for a superb South American fishing experience, without having to travel there? 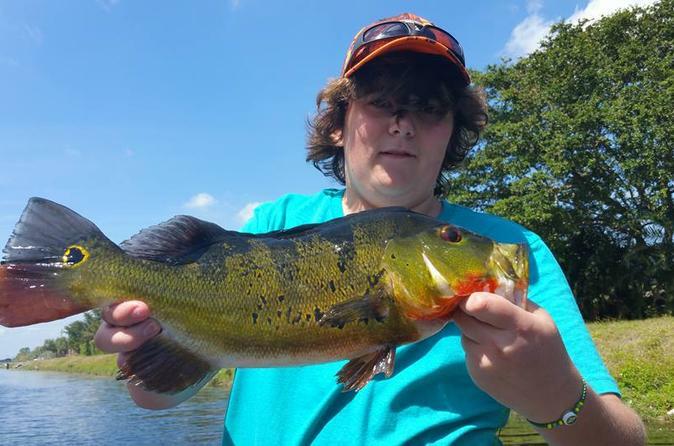 A chance to catch a hard-fighting, butterfly peacock bass? How about if you can do it without leaving Florida and just a stones throw from The Keys? 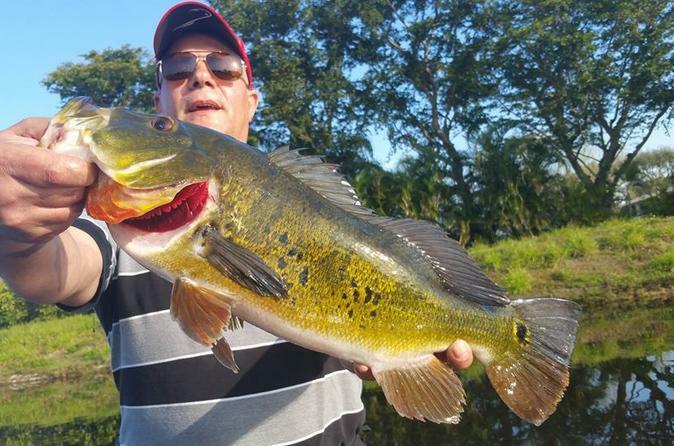 We have the largest “full-time” Team of Florida freshwater fishing guides in the state and have several that specialize in just Peacock Bass. We provide all safety and fishing equipment for your trip, all you will need to purchase is a Florida freshwater fishing license and all live bait will be an additional cost. We dedicate ourselves to providing you the best experience possible and we operate on a no fish no pay policy. Our no fish, no pay guarantee on all bass fishing trips leaves us consistently at #1, standing alone at the top when it comes to credibility and reliability in the bass fishing industry. Take a break from the Keys to enjoy a few hours of nature while freshwater fishing. Peacock bass fishing offers some of most unique fishing in the world. Reel in the colorful, hard fighting peacock bass in the Aerojet Canal Fishery. Your tour is guided by a licensed captain in a modern 21-foot boat, with fishing rods and both right and left-handed reels provided, along with all the tackle you can use or lose. Your captain will provide fishing instructions and casting lessons for beginners and advanced techniques for the experts. So grab your hat, sunglasses and camera. All you have to do is step on board, cast a pole and wait for the tug on the other end. This tour will take you on an urban fishing adventure that will leave lasting memories for a lifetime. 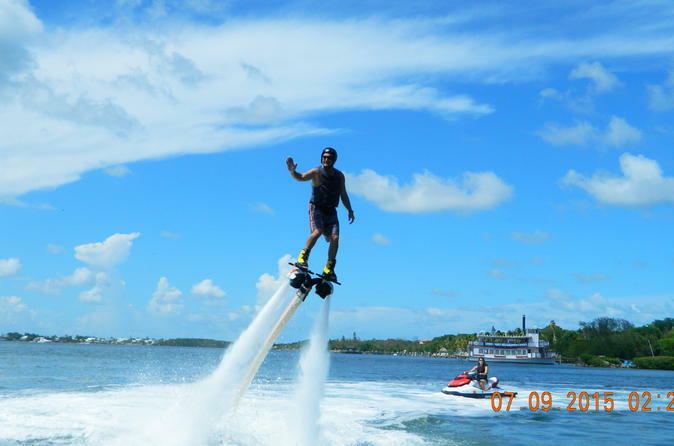 Learn to fly and control a Jetpack/Hydro-Boot in minutes with our Insurance Certified Instructors. With the Instructor controlling the throttle, it is one of the safest water sports around!